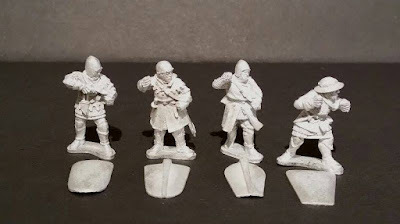 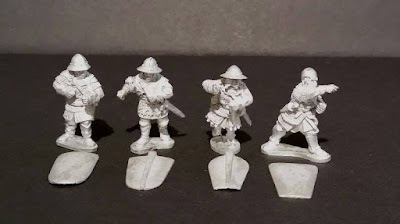 And here they are, available now from Claymore Castings, the new sculpts for the Pavasiers for the 'Crecy Era'. 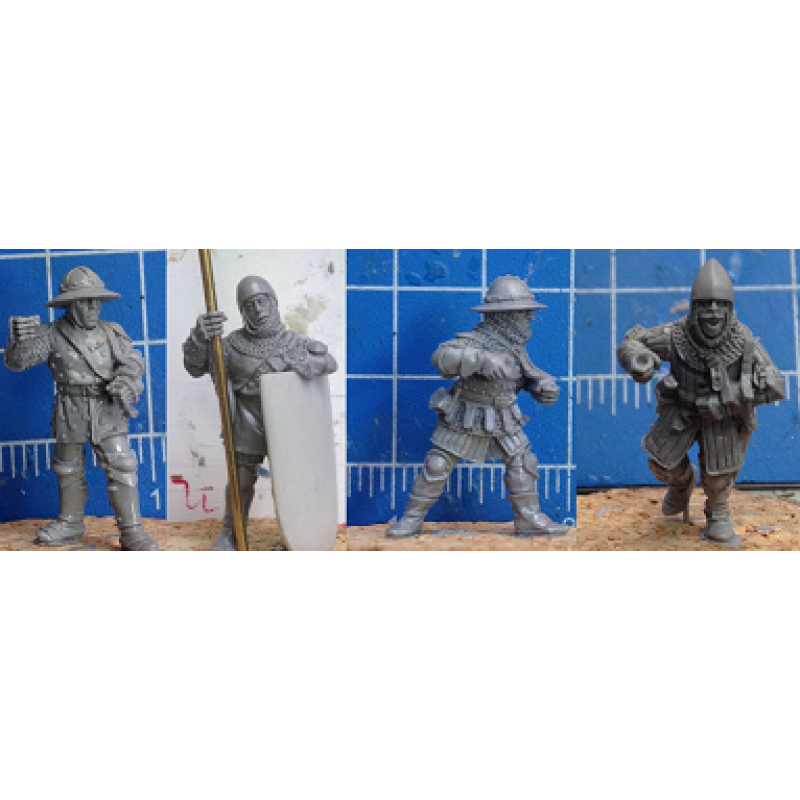 They can of course be used either side of 1346. 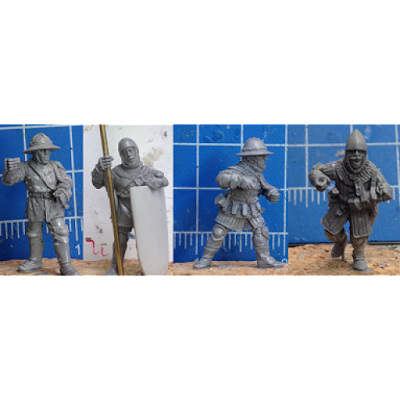 Matthew has certainly not disappointed and produced some really lovely dynamic sculpts that for all intents and purposes look like they were there.